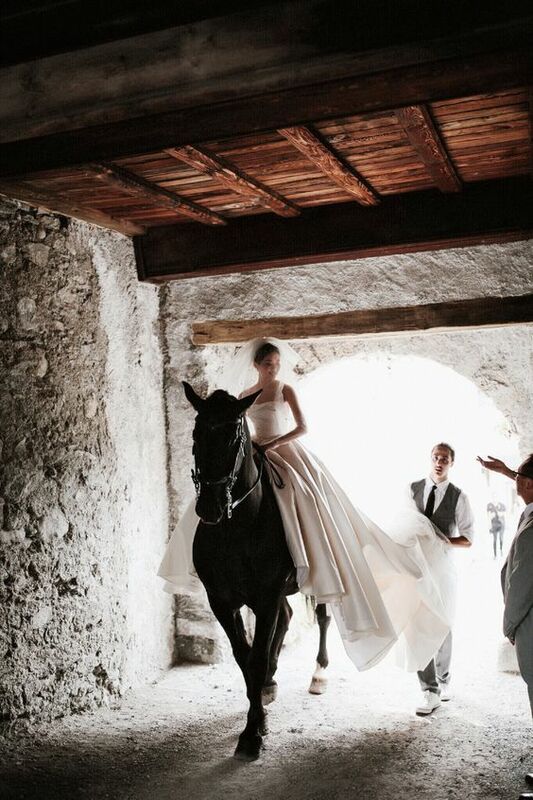 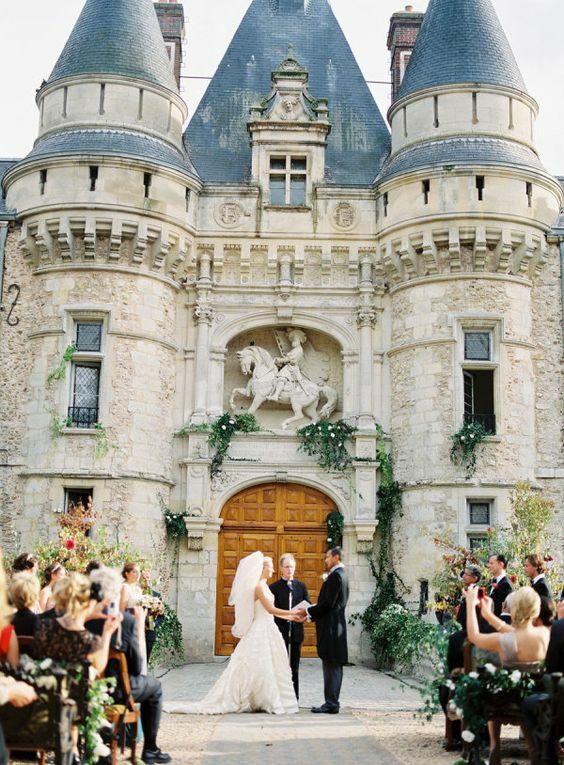 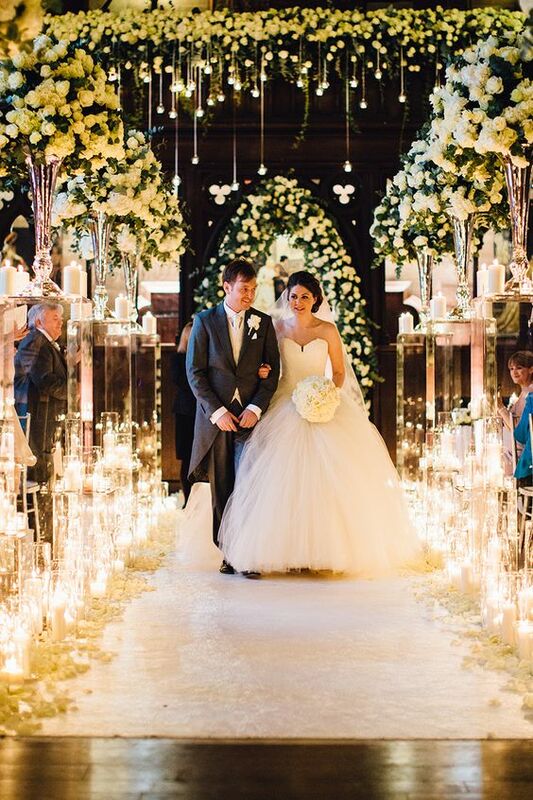 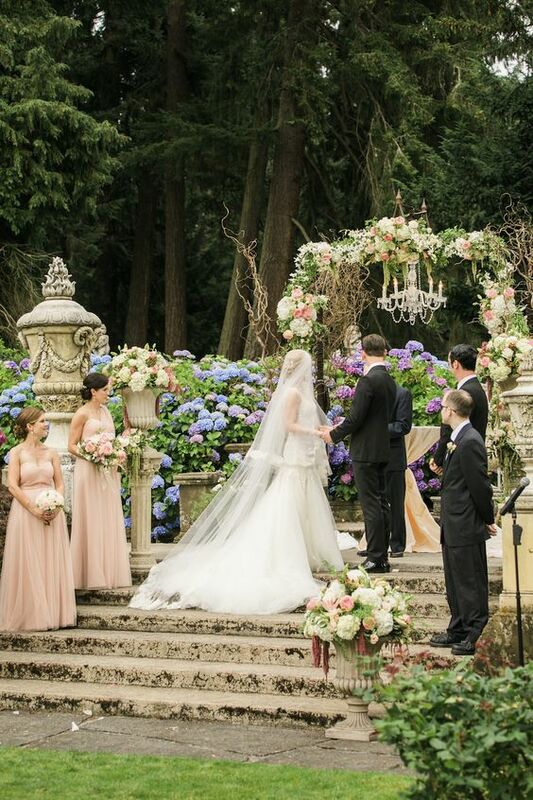 If you wanna feel a real princess on your big day, choose a castle for your wedding venue. 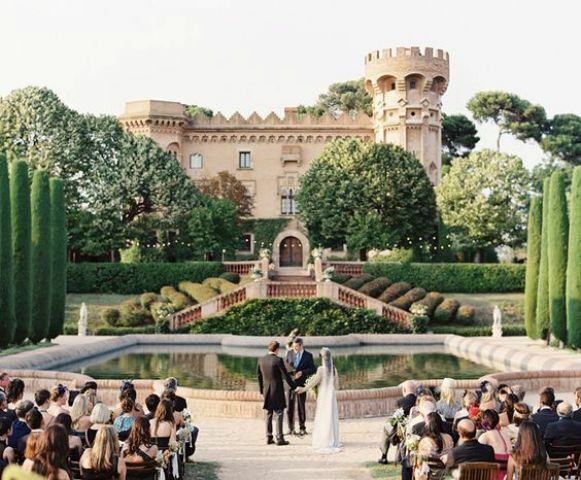 Many couples choose castles for their weddings, though it’s rather expensive, you’ll never forget your big day in such a place. 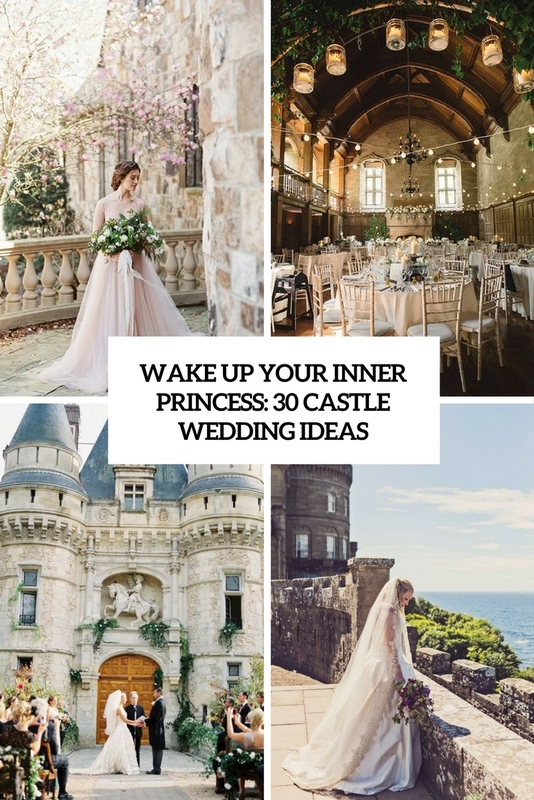 Opt for a gorgeous more or less formal wedding in castle, or if you two are fantasy fans, choose a wedding theme for a castle wedding and rock it. 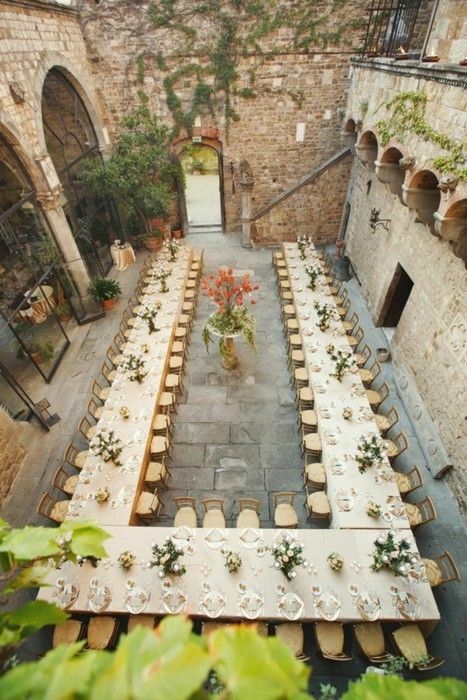 Let’s see how to pull such an idea off. 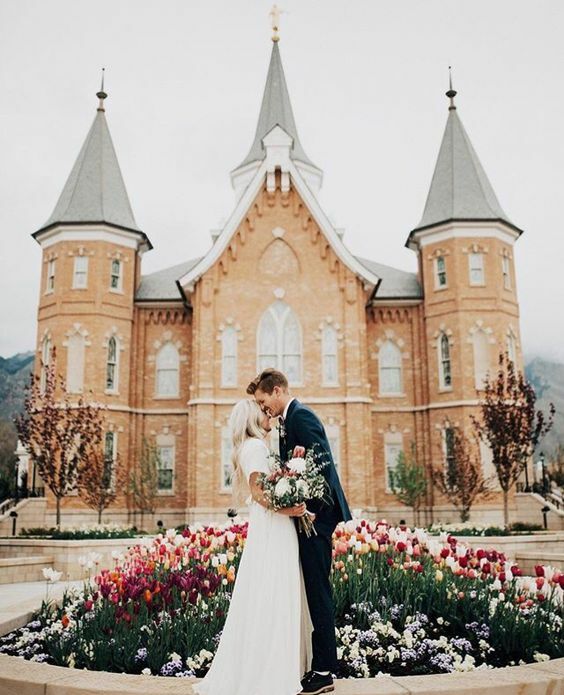 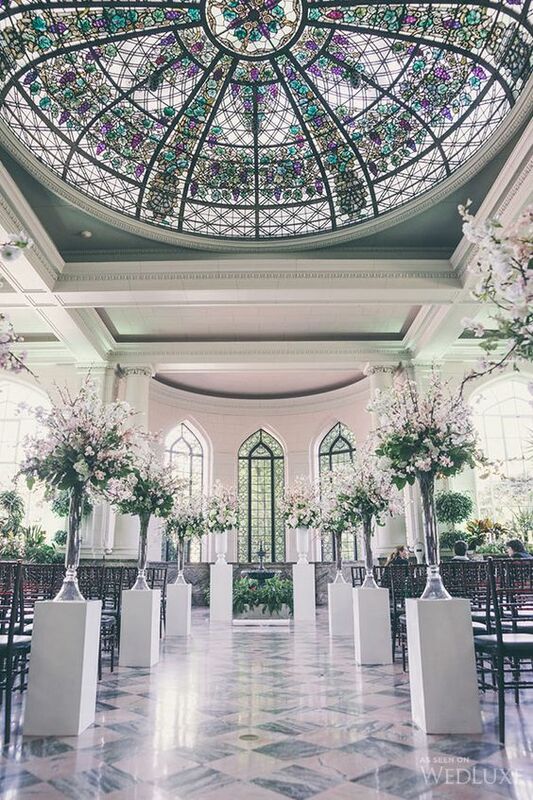 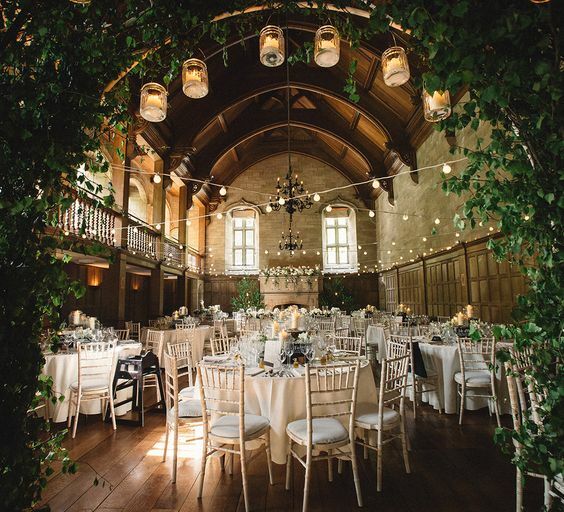 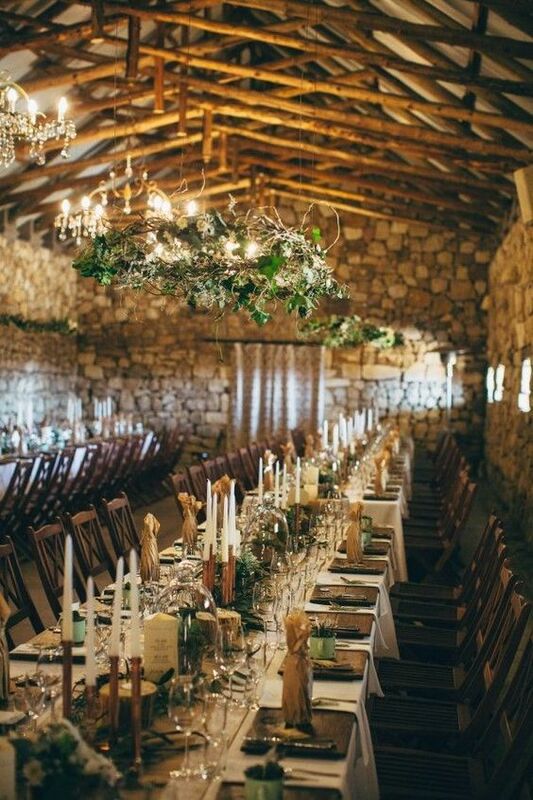 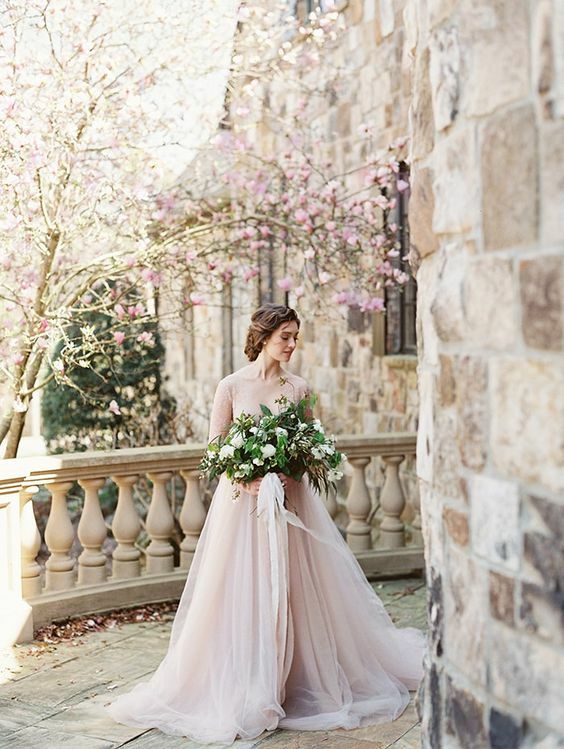 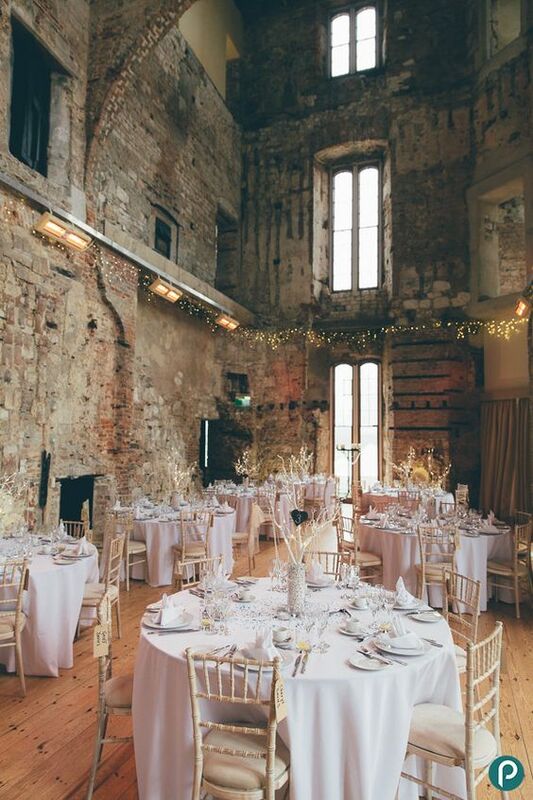 Take the advantage of your venue: it’s a gorgeous castle wherever it is, create a jaw-dropping ceremony space inside the castle – use one of the halls with gorgeous high ceilings and stunning original castle décor – you’ll get such a unique space that you won’t be able to take your eyes off! 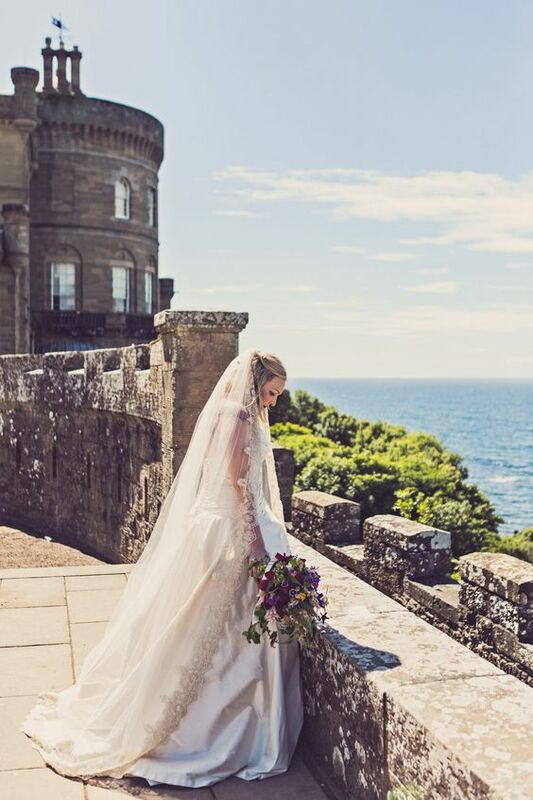 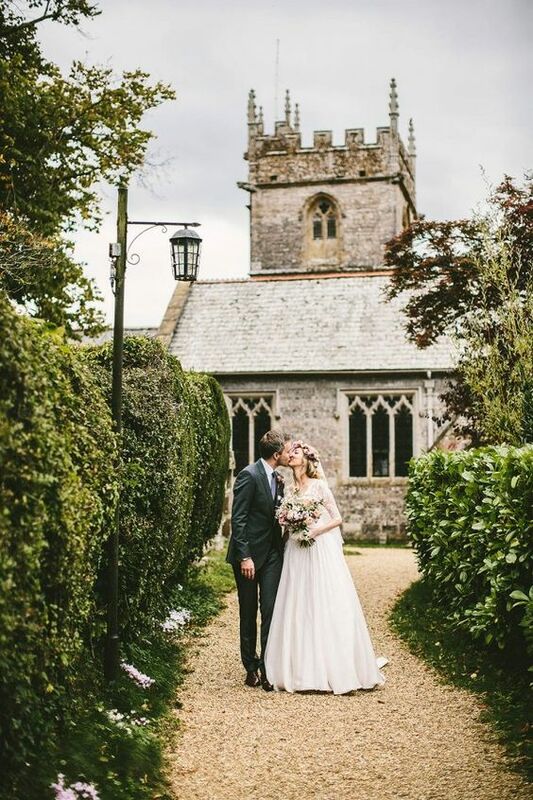 Another idea is to take the ceremony outside – to the castle gardens, which are usually breathtaking, or to some castle terrace with sea, woodland or lake views – what’s a better backdrop for your ceremony? 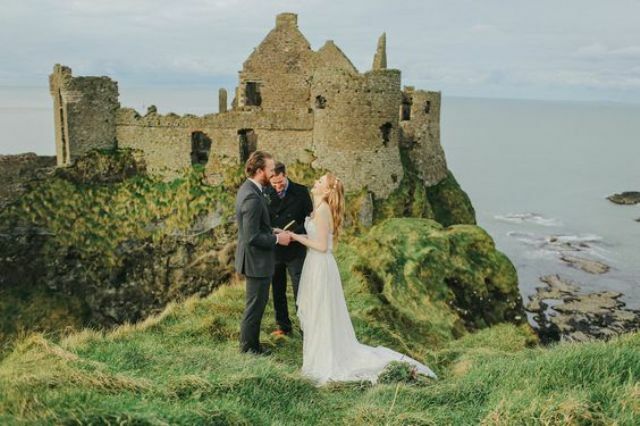 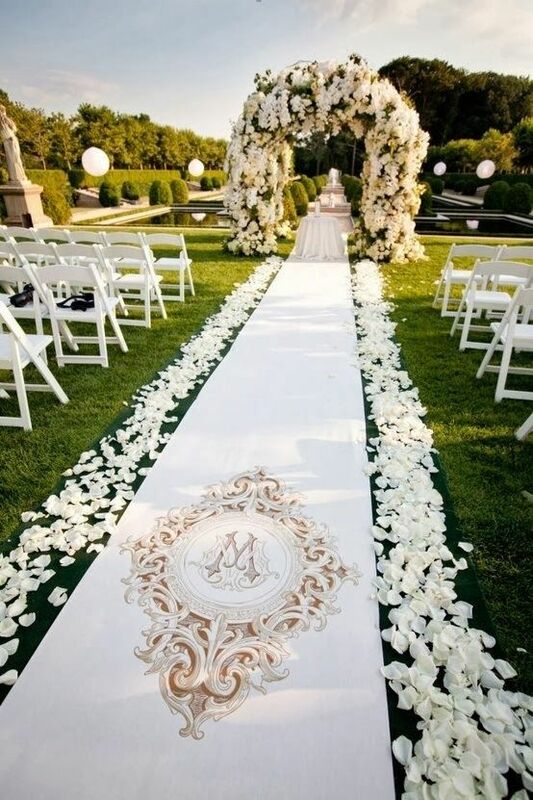 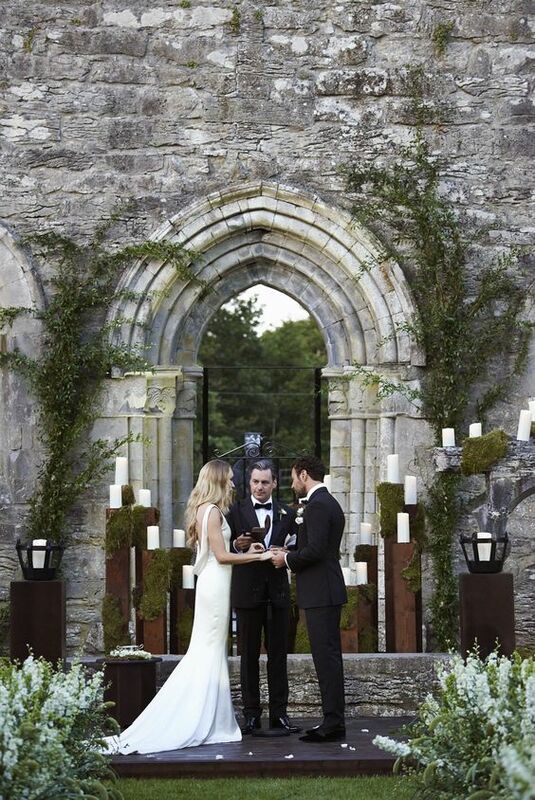 One more idea is to take the ceremony outside to cliffs or hills around the castle, which is especially popular for Irish weddings. 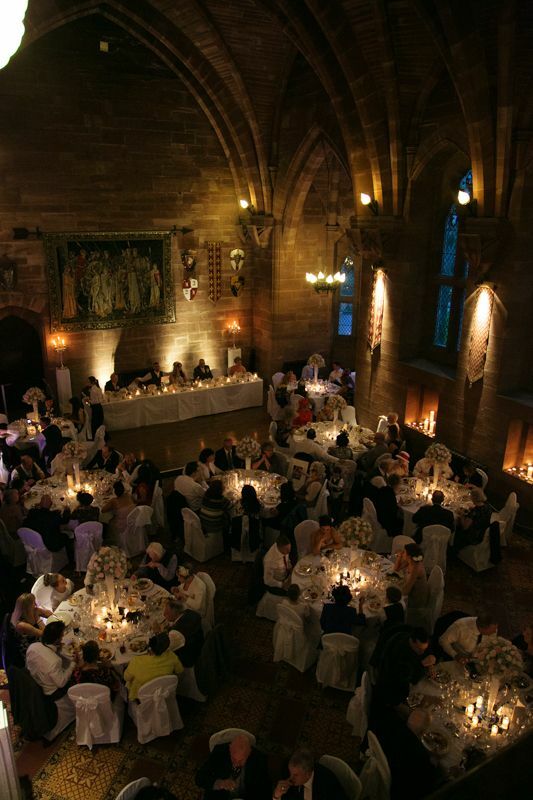 As for receptions, you can choose any space of your castle for your wedding reception, opt for one according to the theme of your wedding. 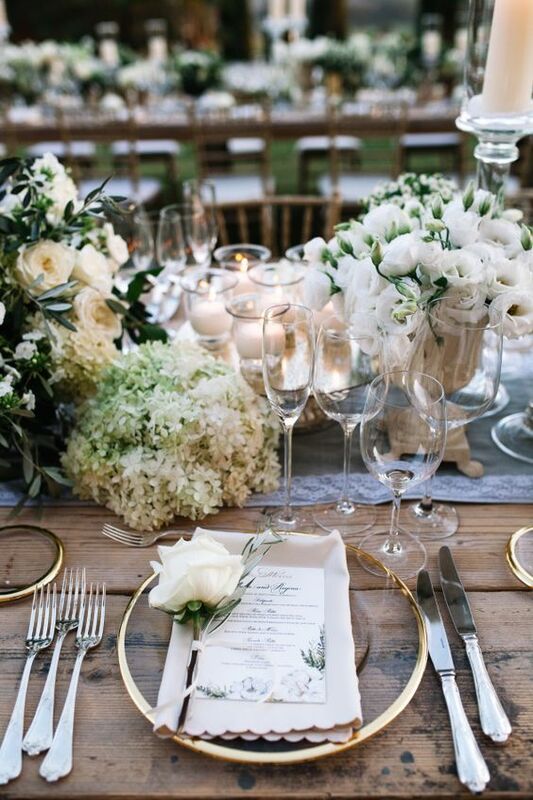 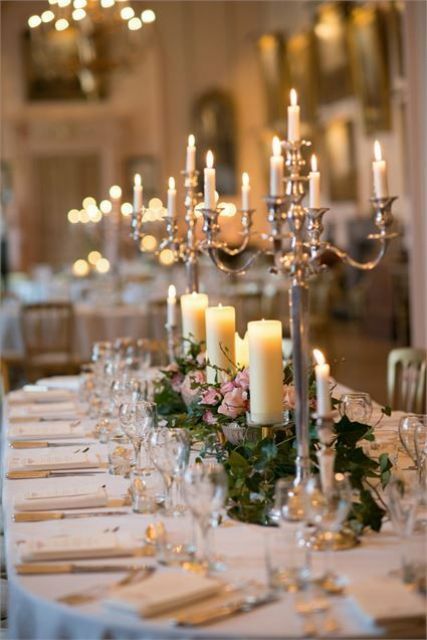 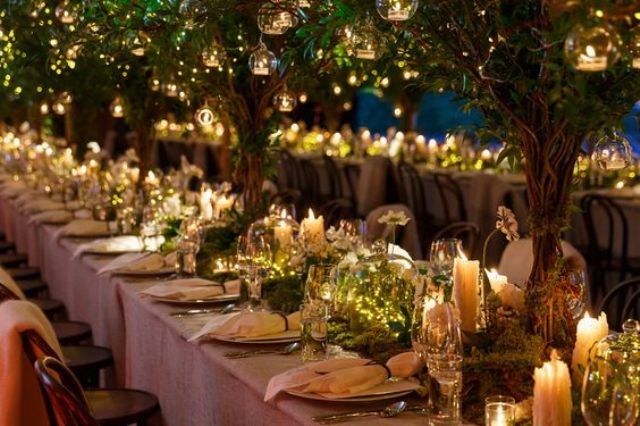 You may turn one of the halls into a stunning reception space with original paintings and mosaics, add lots of candles and candle lanterns (LED lights won’t look that solemn), lush florals and metallic accents and maybe large glam chandeliers to create an atmosphere. 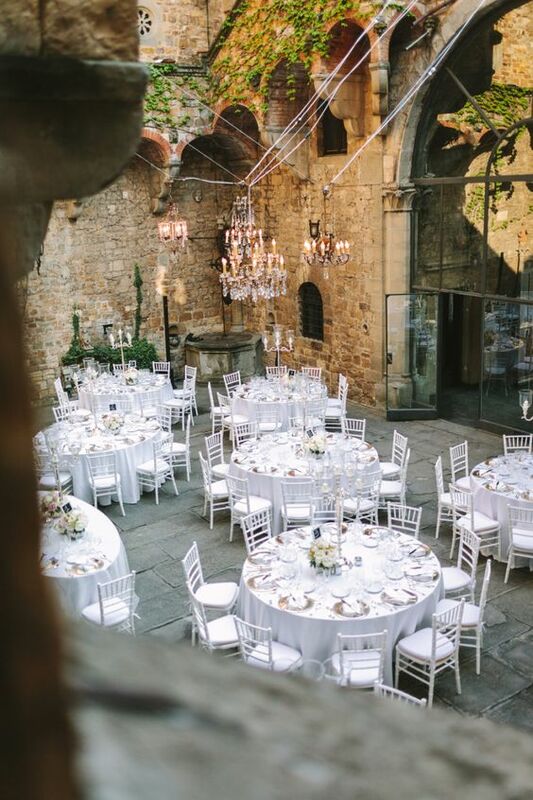 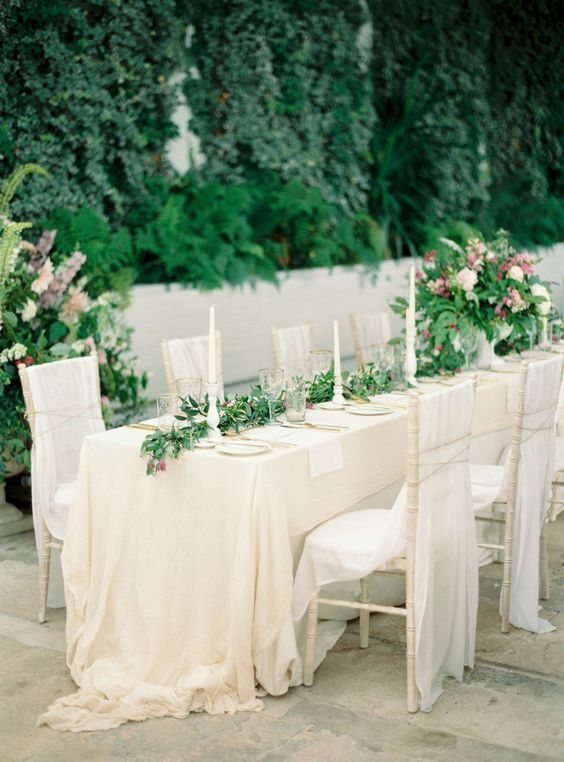 You may take the reception outdoors – to the inner courtyard, gallery or terrace, this is great if the weather is good and if the castle halls don’t fit your wedding theme for some reason. 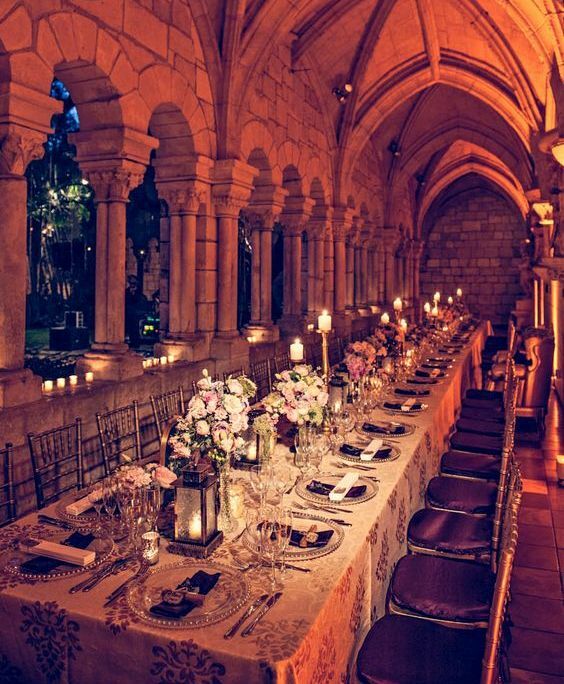 Keep the décor elegant, with lush greenery and florals, lots of candles – all you need to do is to highlight the refined castle decor. 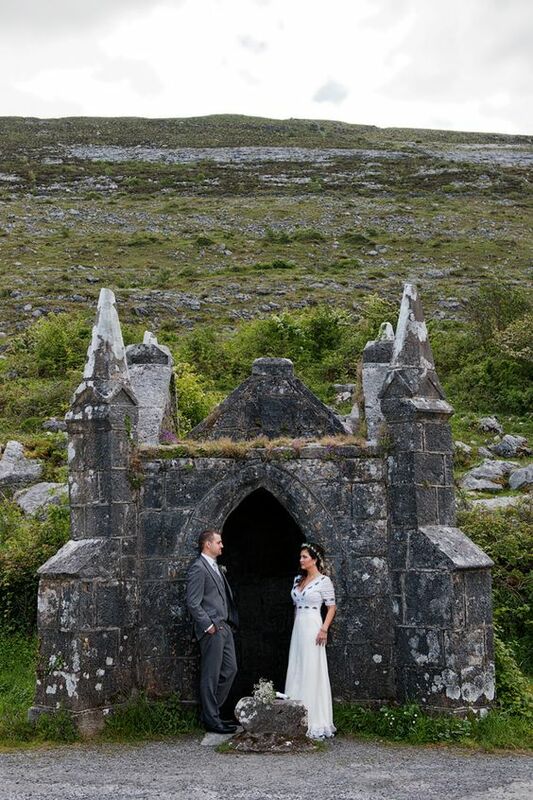 Take the advantage of your wedding venue, go for an adorable wedding photo shoot for just two of you around the castle. 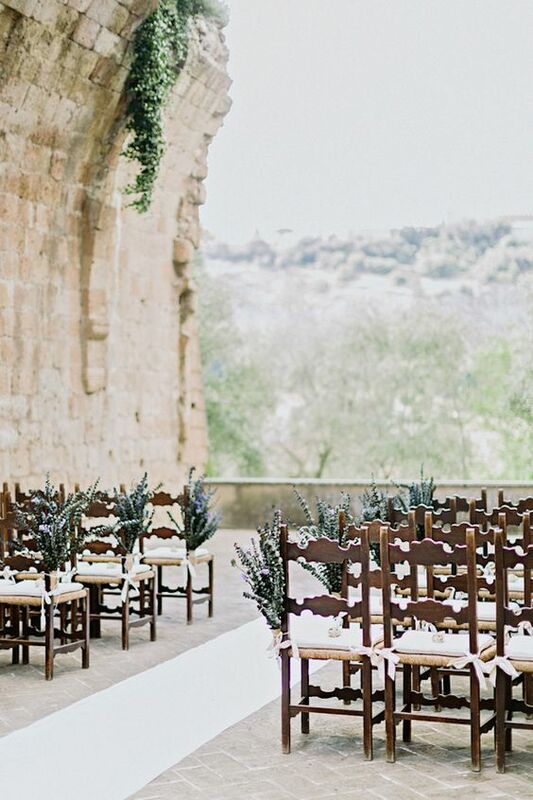 Go to a castle gallery with a view to enjoy the seclusion and let the photographer take photos in the backdrop of these views. 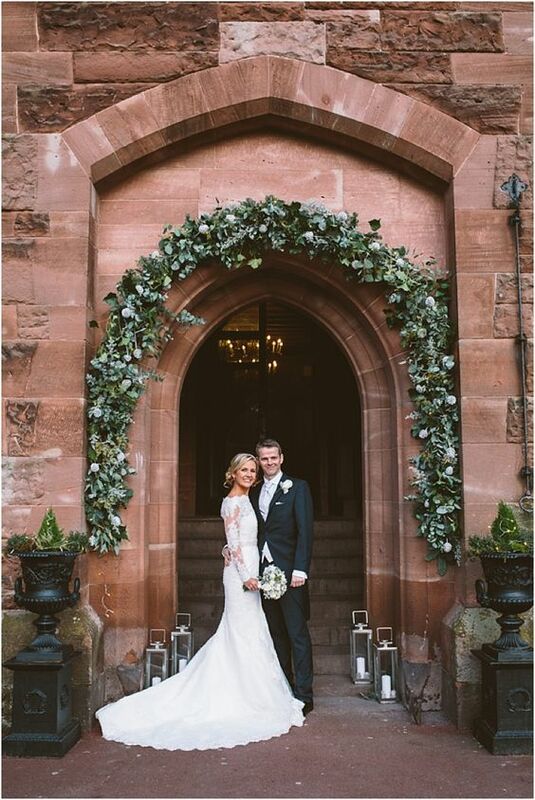 Take some pics in the castle courtyard in front of the greenery-covered walls, in the castle garden, which is usually incredibly beautiful and refined – amazing photos are guaranteed!